Kusum and Mukund Kavia were a young married couple who came to the U.S. from Bangladesh via London. They settled in the U.S. with very little money but had their youth and the immigrant’s determination to succeed—a kind of secret sauce in the creative curry that is Southern California. Currently, their company works in 10 countries and will soon add Iraq to the mix. 90 percent of revenue comes from international sales. In 2011 at a White House ceremony the company received the Presidential “E”- Award for excellence in exporting. Combustion Associates is a client of the Export Assistance Center in Ontario, California. I recently spoke with them about their story. Barry: You own Combustion Associates, Inc. What do you do there? Combust? Mukund: You are very close. We design and build power generation systems using aero-derivative turbines, the kind which power aircraft. 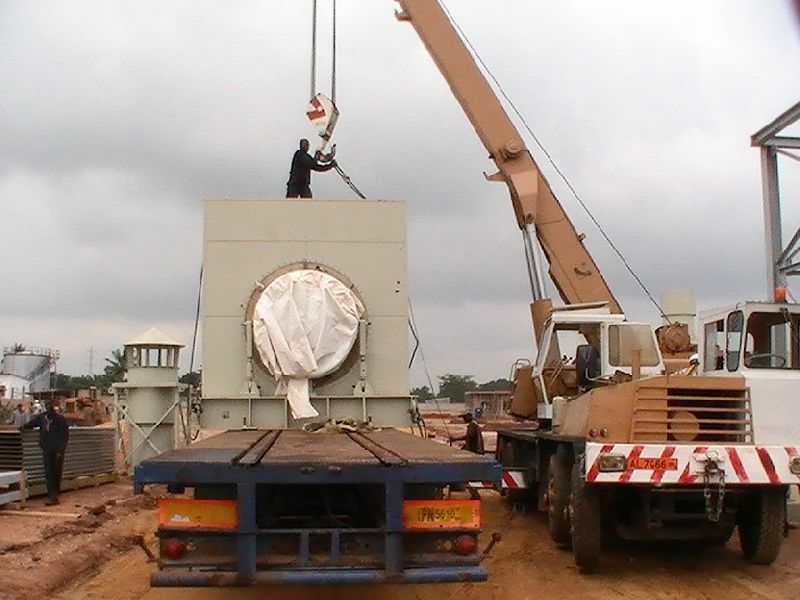 Our company provides modular power plants in the range from 1-megawatt to 10-megawatt. Now, a 1-megawatt is the size of a 40-foot container and can power 1,000 U.S. homes. So, when we take it to emerging countries such as Africa or East Europe or Central America, they can power villages. Barry: Since these villages aren’t on a national power grid, having reliable electricity helps in a variety of ways. Mukund: Absolutely. Our units are there not only for power but to really help the local economy grow. Barry: When did you get started? Mukund: We started in 1991 with just a 200 square foot office. Today, there are 60 employees with a 40,000 square foot facility. Barry: What was the biggest challenge the company faced getting started in the international marketplace? Mukund: We were not recognized in the industry. So being a small company, we had to make a name for ourselves out there. Barry: How’d you do that? Kusum: We partnered with the U.S. Commercial Service (of the Department of Commerce) to spread our name, spread what we did, and that really elevated us to a level that we were able to be in front of the customer at the international level. Since the Commercial Service has representatives in these countries they can help find buyers for us. In some case we invite prospective customers to our facility in California. Barry: How did this work in the early days of the business? Kusum: It was interesting. We didn’t have a suitable place to meet. One of the biggest things that I remember Fred Lauterperisa (the director of the Export Assistance Center) doing is opening up his office to us. When I called him, he said, ‘please use my conference room.’ And that’s what we did. We actually had our customers meet us at the U.S. Commercial Service in Ontario (California) and utilize their conference room. Barry: What else did Fred do for you? Kusum: He also arranged for representatives of the Export-Import Bank of the U.S to attend the meeting and discuss Bank programs that provide loan guarantees to the U.S. companies for extended payment terms and money for more inventory. Funding is also available for foreign buyers to purchase U.S. products from companies like ours. Barry: I take it that government export promotion programs have been something of a gold mine for you. Barry: What advice do you have for other U.S. companies that haven’t entered the global market because of fear of failure, lack of knowledge or other reasons? Kusum: Don’t limit yourself. You’re already doing something that you know is your passion. All you have to do is get out of your comfort zone and don’t limit yourself. You’re going to have different challenges – some new, some old. But I would encourage everyone that is looking to export to say, ‘Please, why haven’t you thought of doing that?’ As Americans, I believe that all of us want to reinvent ourselves. We want to be the best we can be so that we are able to export U.S. products overseas that are quality, cost-effective and really a win-win for the countries that we’re doing business with. At the same time, we want to go out there again and do so much more for this great country of ours, which really is a welcoming opportunity for anybody that wants to work hard and do better.